The Majlis al-Shura, or Consultative Council, is a legislative body that advises the King on issues that are important to Saudi Arabia. It is a modern version of a traditional Islamic concept – an accessible leader consulting with learned and experienced citizens – which has always been practiced by Saudi rulers. The Consultative Council currently consists of 150 members appointed by the King for a four-year renewable term. Based on their experience, members are assigned to committees. There are 12 committees that deal with human rights, education, culture, information, health and social affairs, services and public utilities, foreign affairs, security, administration, Islamic affairs, economy and industry, and finance. 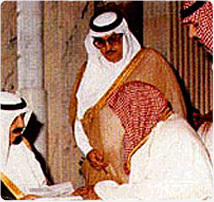 Originally restricted to discussion of regulations and issues of national and public interest, the mandate of Majlis Al-Shura was broadened in 2004 to include proposing new legislation and amending existing laws without prior submission to the King. It has always been able to request that government officials participate in key meetings and apply for access to government documents. On April 7, 2003 the Majlis Al-Shura became a full membership of the Inter-Parliamentary Union.